(VEN) - The export value of Vietnamese goods and services is maintaining its upward trend while the trade deficit declined slightly, making up a bright export picture in the first five months of 2017. 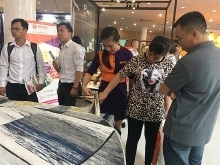 According to the General Statistics Office of Vietnam, export value reached US$17.2 billion in May, down 1.9 percent compared with May 2016, totaling US$79.3 billion in the first five months, up 17.4 percent compared with the same period last year. Fruit and vegetables topped the list of exports in the first five months of this year, with value reaching an estimated US$1.38 billion, up 38 percent compared with the same period last year. The US remained Vietnam’s largest export market in the first five months of 2017 with US$16 billion, up 9.9 percent compared with the same period last year. The EU ranked second with US$14.6 billion, up 9.5 percent, and was followed by China, US$10.5 billion, up 40.3 percent; ASEAN, US$8.6 billion, up 26 percent; Japan, US$6.4 billion, up 16.6 percent; and South Korea, US$5.7 billion, up 34.4 percent. 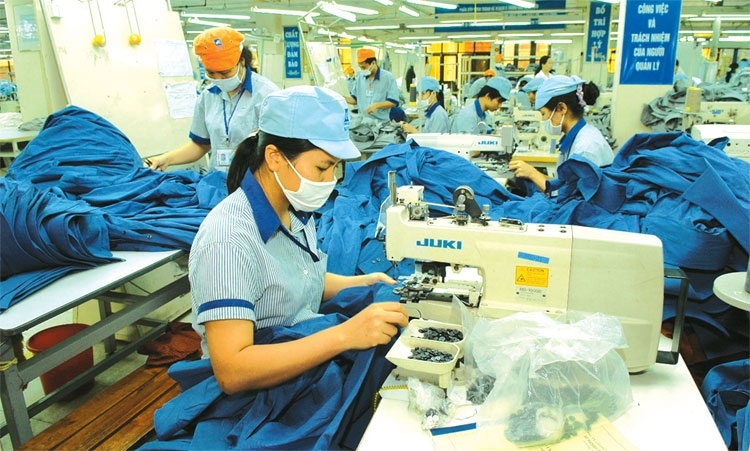 At a recent meeting of the Domestic Market Management Team, Le Bien Cuong, Deputy Director of the Ministry of Industry and Trade’s Mountainous and Frontier Trade Department, said that over the past five months, trade between Vietnam and its neighbors, especially China, has grown well. In the first five months of this year, Vietnam exported about US$10 billion worth of goods to China via official channels, a rise of 40.3 percent compared with the same period in 2016, and imported US$22 billion worth of Chinese products, up 15.7 percent. 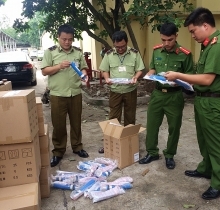 Meanwhile, Vietnam’s unofficial border trade with China plunged to US$1.2 billion in export value and about US$1.8 billion in import value. According to Le Bien Cuong, China will tighten controls over border trade to enable Vietnam to promote exports via official channels to this market. In the first five months of 2017, Vietnam’s import value reached an estimated US$82 billion, a rise of 23.9 percent compared with the same period last year. 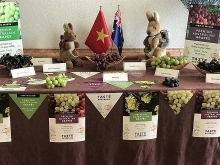 Notably, Vietnam spent US$154 million on fruit and vegetable imports in May, and the import value of these products reached US$470 million in the first five months, up 68.6 percent compared with the same period last year. Le Quoc Phuong, Deputy Director of the Vietnam Industry and Trade Information Center under the Ministry of Industry and Trade, said Vietnam needs to improve the quality of domestic fruit and vegetables to reduce imports of these products. In the first five months, Vietnam faced a trade deficit of US$2.7 billion, equivalent to 3.4 percent of the export value. In April, the trade deficit was US$2.74 billion, equivalent to 4.5 percent of the export value. These results reflect Vietnam’s concerted efforts to curb the trade deficit. can be produced domestically, and consider the application of suitable trade remedies to restrict imports.